What side is the gas tank on?!? Before pulling into the station, you strain your neck checking mirrors and sticking your head out the window to see if you can spot the tank lid. You think you see it, then drive up to the gas pump, park, and realize you got it wrong. Even worse, it's super busy and you can't even get to the right side of the pump now. 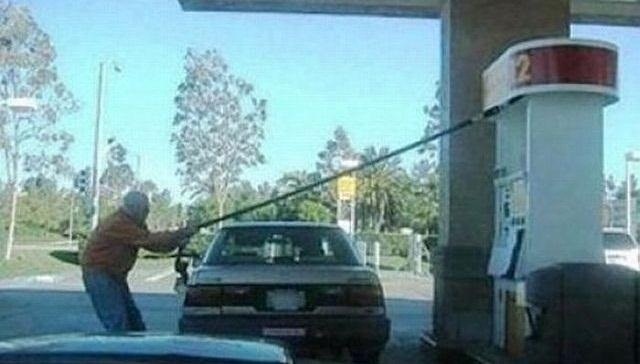 Sometimes you might be able to stretch the hose all of the way to the other side of your car, but not always. And who wants to be that guy anyway? 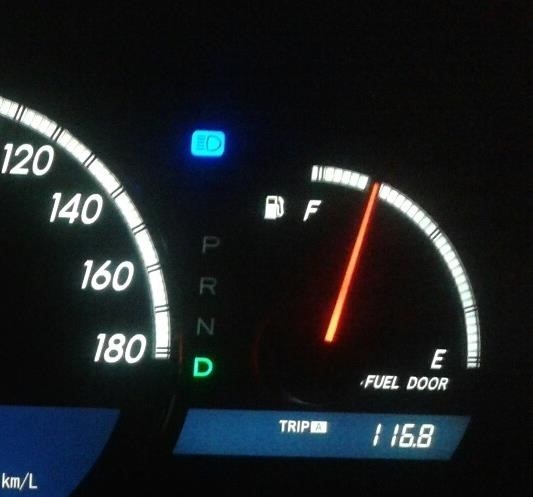 Well, what if I told you there was an easy way to tell what side your gas tank is on without looking at mirrors or getting out of the vehicle? You may be surprised to know, but the majority of new cars from the past couple of decades explicitly tell us which side the gas tank is on. 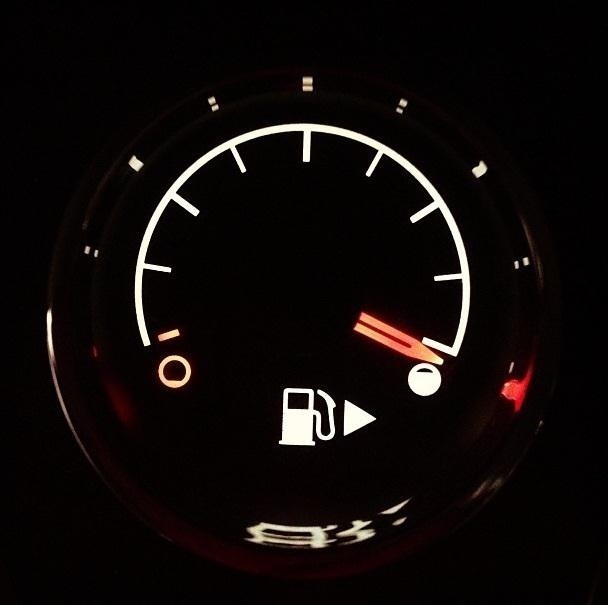 So, the next time you visit the gas station in a vehicle you've borrowed, rented or even carjacked, just look at the dashboard fuel gauge and you'll see a picture of a gas pump with an arrow. 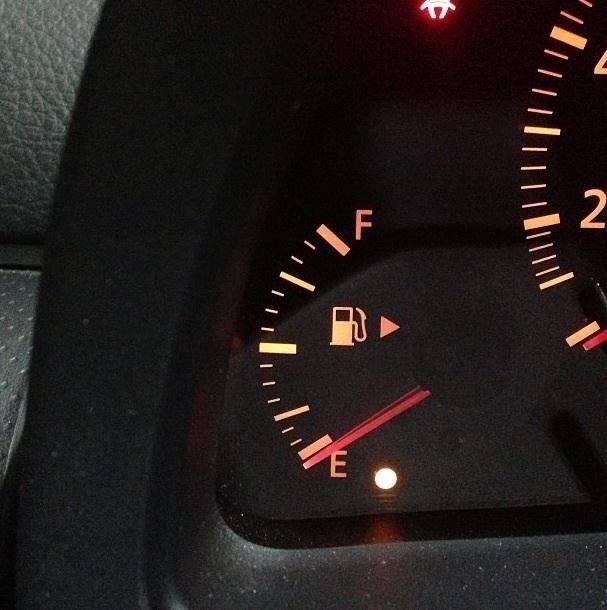 Whichever way that arrow points, that's the side of the car with the filler cap. 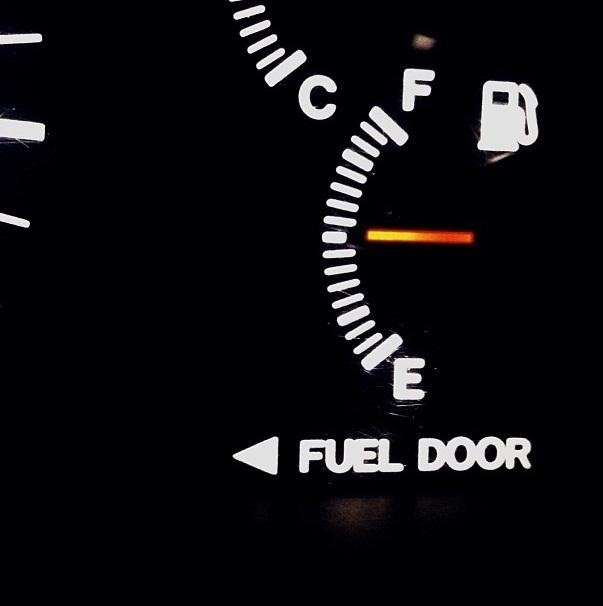 See the white arrow in the gas gauge pointing to the right side? 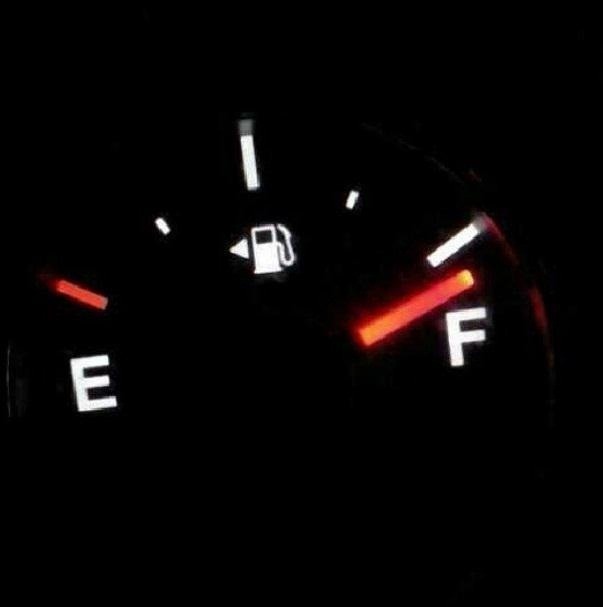 Car companies have placed that as an indicator to let you know which side your gas tank is on. 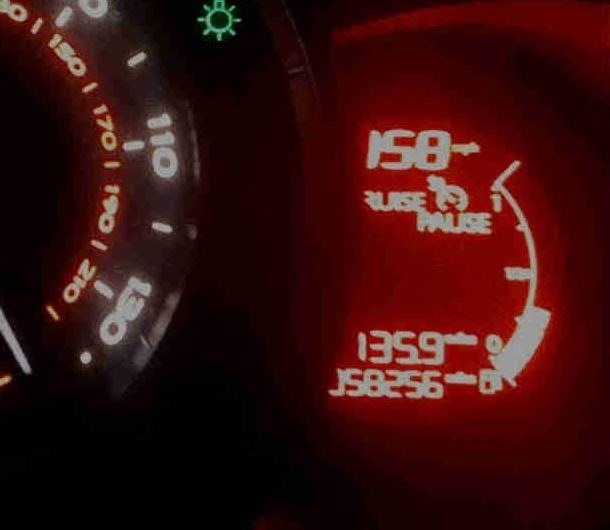 Just to firmly implant this concept into your brain, here are several car gas gauges that I stumbled across on Instagram, all from different models and years, but which all contain the indicating arrow. Here's what the 2010 Chevy Cobalt, 2006 Jeep Cherokee, 2004 Infiniti G35, and 2011 Nissan Centra look like. And my personal favorites, the 1999 Ford Taurus and 2007 Toyota Corolla, which even says Fuel Door to go along with an arrow. 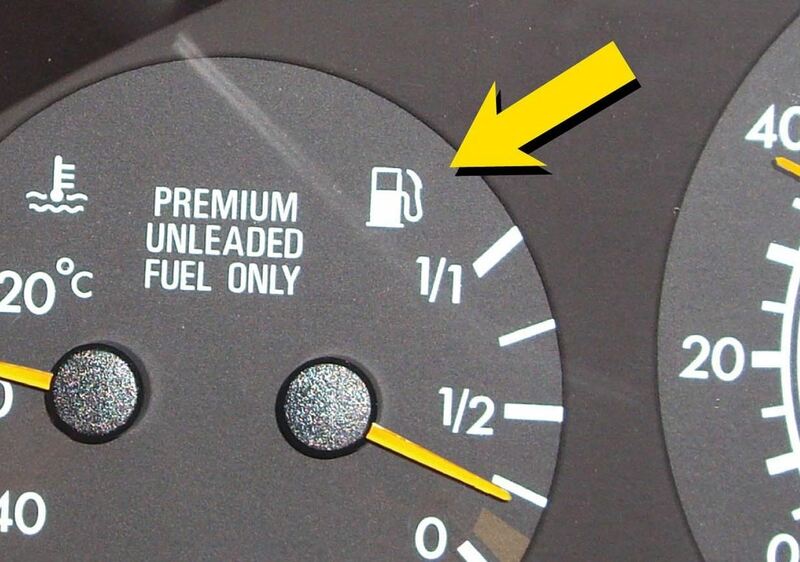 Of course, not all cars have this indicator arrow, but what side the hose is on in the gas pump icon should tell you what side the tank is on. 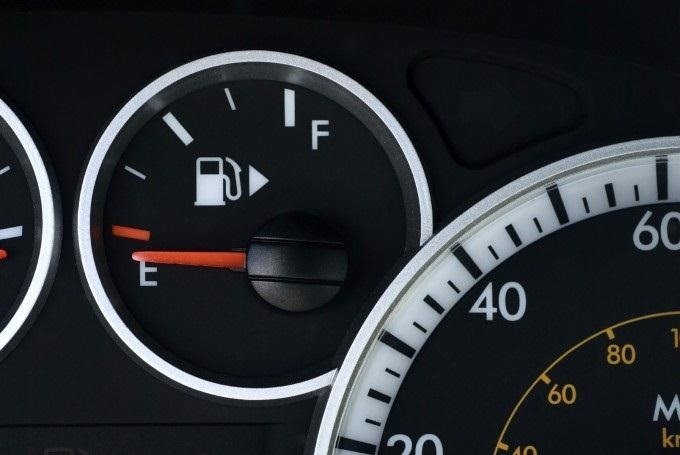 There are also rumors out there that the side the pump icon is on your dashboard indicates the side of your gas tank, but that's not universally true. 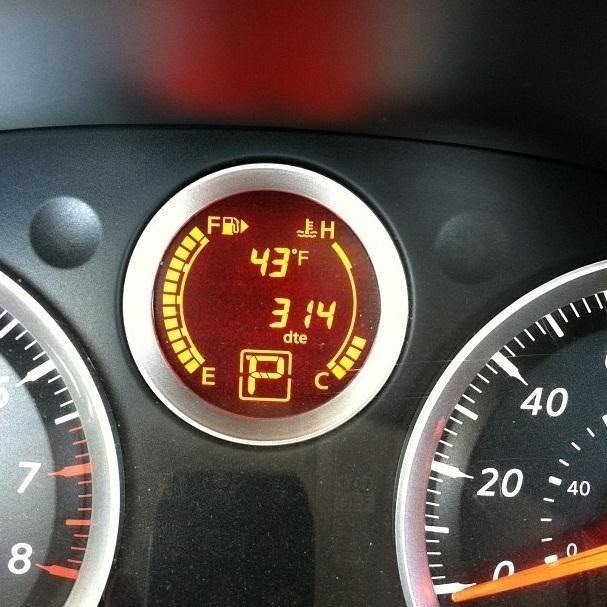 If you have any pictures you want to share or have any comments on your car gauges and indicator arrows, let us know! This may seem like an obvious tip, but really...isn't the obvious stuff the things that elude us most? 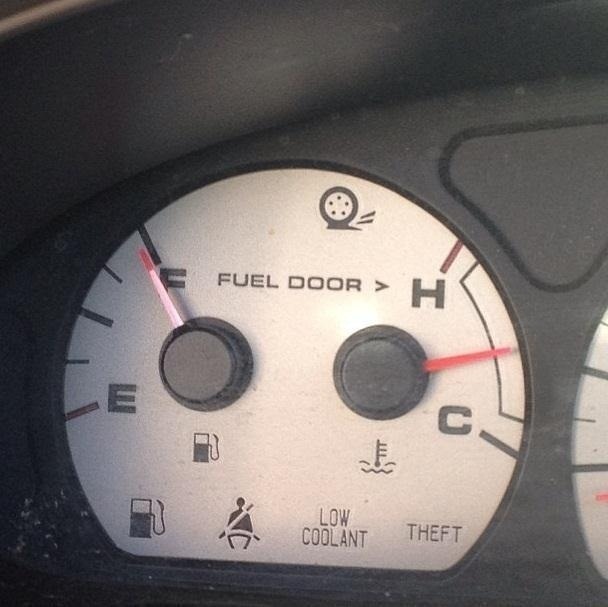 "See the white arrow in the gas gauge pointing to the left side?" Ha, thanks for pointing that out. I got this in an email before. Check on several cars. It does not hold up. I always wondered what that white arrow was for. Anyone seen the history of the indicator, what manufacturer first had it? There is no right or wrong side. The fuel line is long enough to reach the far side of your car. This by design. As a gas station proprietor you do not want to see unused fuel pumps AND a queue because there is this, mainly American, idea about the "correct" way to park next to a fuel pump. Nowhere in Europe is this a problem or looked down on. As a matter of fact you are laughed at if you queue up while there is a free pump just because it is on the "wrong" side. Huls, here in Los Estados Unidos, we're great big fat people who drive huge honkin' gas-guzzlers, so that hose won't always reach around to the other side. Oh, it might if you pulled up so the rear end of your vehicle is even with the hose, but you don't, cuz you're trying to line up the fuel door (which is on the other side, btw) with the hose.